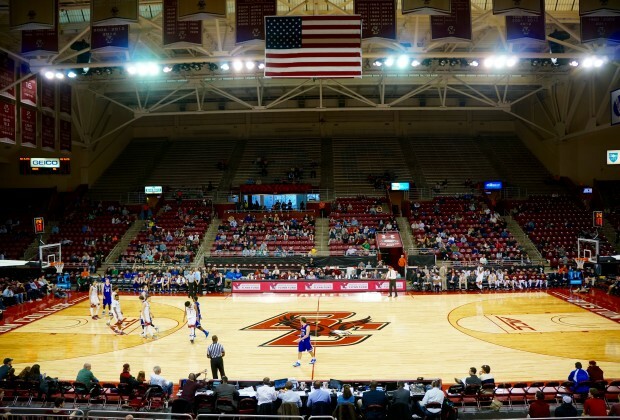 Men's Basketball Tops Stony Brook | BANG. The Eagles pulled off their second win of the season on Sunday against the Stony Brook Seawolves. 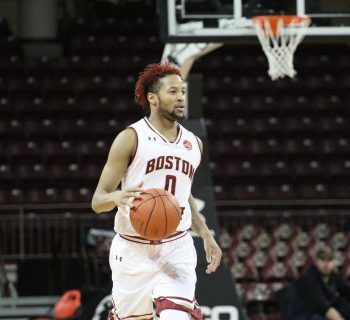 After what appeared to be a game headed for a blowout, with the Eagles taking a 40-20 lead late in the first half, Boston College displayed some of its youth as the team was unable to stretch its lead and held on to take the game 82-75. While most fans on the Heights may have thought nothing of this Stony Brook team, they were a tournament team last year. The Seawolves were even an upset special by many experts, before bowing out to Kentucky in last years' tournament. Boston College was at its best this afternoon with Sophomore Jerome Robinson running the point. Robinson put up a career-high 22 points, almost exclusively on hard drives to the basket. Robinson and the Eagles looked to get out and run all day, as their struggles in the half court continued. Stony Brook’s 2-3 zone continued to befuddle the Eagles as the guards struggled to get the ball to the high post. However, a silver lining of the game was the hustle on the boards of both Mo Jeffers and Connar Tava, both with eight a piece. The fight of both players helped to mask some of the offensive struggles. Another bright spot of the day was the play of freshman Nik Popovic. Popovic seemed to really come into his own today, pulling off a few big post moves, and taking advantage of his defenders relative size disadvantage. Coach Jim Christian raved about the young center and how in addition to his own play he pushed his teammates. “Practice and walk through this morning showed [he] was ready to play,” said Christian. Notably Stony Brook received a big contribution from Tyrell Sturdivant, who went for 26 today. 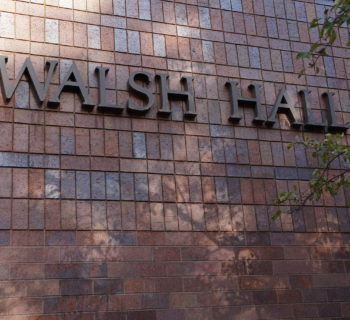 It was not enough for the Seawolves to top BC, however. Christian claimed that the transition success of today's game was thanks to a concerted effort on the defensive end to force turnovers, seven on the day, and turning rebounds into runouts on the offensive end. Coach Christian seemed pleased with the team’s overall performance. While the win may not appear to be too impressive, it is important to understand that this is an extremely young team. It regularly plays four freshmen and three sophomores in its typical ten man rotation. It is imperative that this team remains patient as there likely will be a learning curve, but this team has showed big improvements since its season-opening loss to Nicholls State.